Robust and versatile, Lexmark's C772dn colour laser gives you a rich range of possibilities, including high-yield 15K cartridges, advanced finishing and up to 3,100-sheet input capacity. Choose the toner yield that matches your budget and print volumes, including 6K, 10K and 15K cartridges, in both colour and mono. And drive down printing costs with Lexmark's exclusive ColorCare technology – the most complete range of cost-control tools on the market. 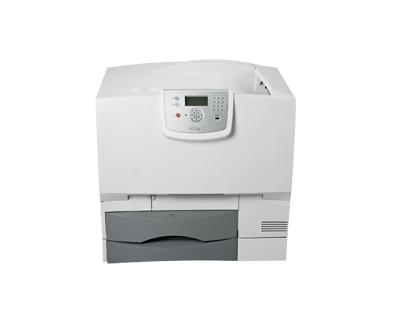 To keep up with your constantly growing business needs, the Lexmark C722dn offers a wide range of flexible options for both today and tomorrow. This includes StapleSmart finishing, automatic duplex printing, and stackable input drawers to reach a massive 3,100 sheets! 2Ta izdelek vsebuje programsko opremo, ki jo je razvilo podjetje OpenSSL Project za uporabo v kompletu orodij OpenSSL.